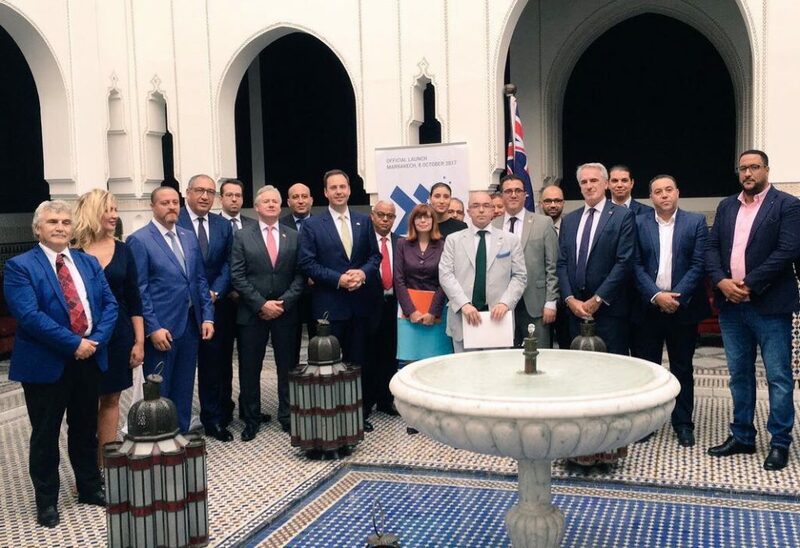 Rabat – Morocco and Australia launched the Australia Morocco Business Council (AMBC) on Sunday, seeking to reinforce the friendly bonds between business communities in the two countries, reported Maghreb Arab Press (MAP). The launching ceremony, which took place in Marrakech, was attended by Steven Ciobo, Australian Trade Minister, Berenice Owen-Jones, and the Australian Ambassador to Morocco, Gerard Seeber, High Commissioner for Trade in the MENA region, and other business leaders from both Morocco and Australia. An official statement issued by the Australian embassy in Morocco said that the event marks an “important date in the development of relations between Australia and Morocco,” aiming to “strengthen the historical ties linking the two countries.” AMBC seeks to promote business, professional, and cultural relations that bind the two countries. Medrek said that Morocco represents a market of 35 million potential consumers with a good power purchase, which could become a gateway for Australian trade to Africa, Europe and the Arab world, especially the Gulf Cooperation Council (GCC). AMBC is the first platform for meetings, interaction and exchange of ideas, information and experiences between Australia and Morocco. The organizers plan to make it a platform for the establishment of trade facilitation vehicles between the two countries and their surrounding countries, especially in West Africa for Morocco and in the Oceania and South Asian region for Australia, reported MAP. The Business Council’s mission is to represent and support the Moroccan-Australian commercial interests with the relevant administrations and political, economy and financial bodies. The council has identified the overall businesses that the Australian and Moroccan operators could share in common, including agro-food and agro-business, infrastructure, mining, hydrocarbons, renewable energy, sustainable development, and education. AMBC was established of the efforts of its founders: Bérénice Owen-Jones, Australian ambassador to Morocco and honorary president, Oussama Alaoui, honorary vice-president and representative in Morocco of the Australian Commission of Trade and Investment (Austrade), Ali Alami, General Secretary, and Omar Jouhari, president. AMBC is an association under Moroccan law chaired by an executive council made of several elected Moroccan and Australian members. Australia inaugurated its embassy in Rabat in May 2017. Owen-Jones is the first appointed resident ambassador to Morocco.